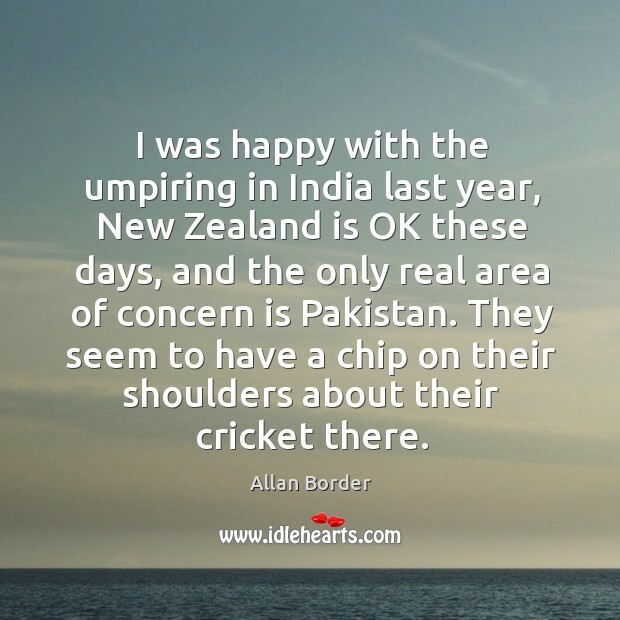 Enjoy the best inspirational, motivational, positive, funny and famous quotes by Allan Border. Use words and picture quotations to push forward and inspire you keep going in life! 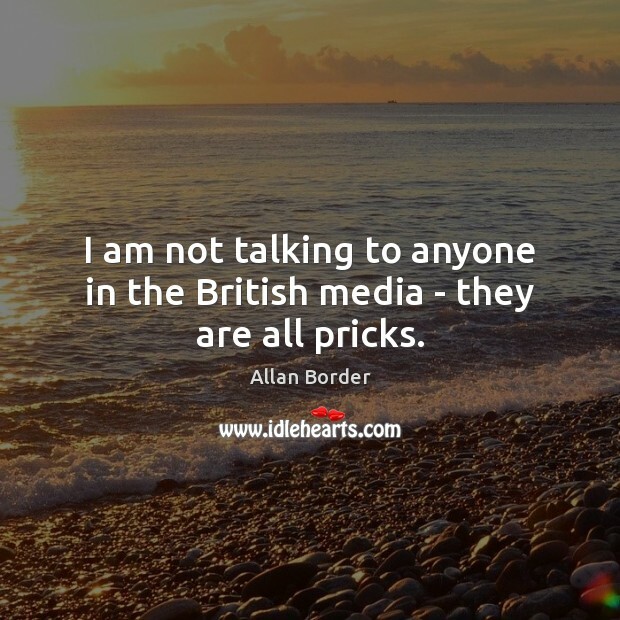 I am not talking to anyone in the British media - they are all pricks. 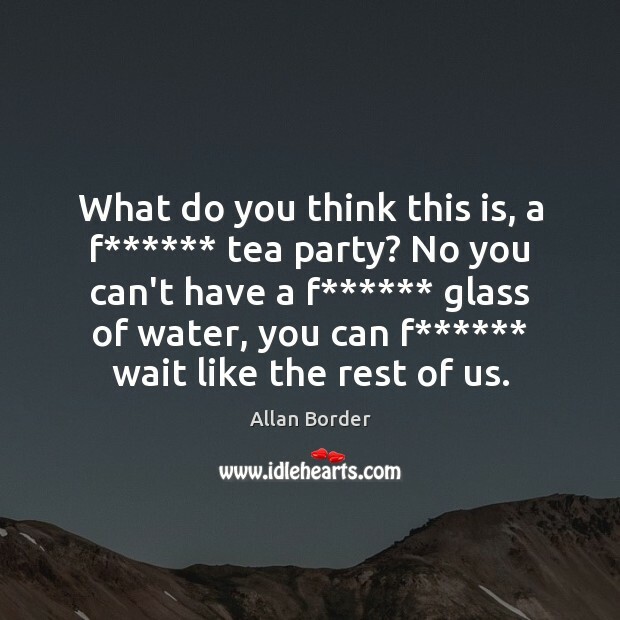 What do you think this is, a f****** tea party? No you can't have a f****** glass of water, you can f****** wait like the rest of us. 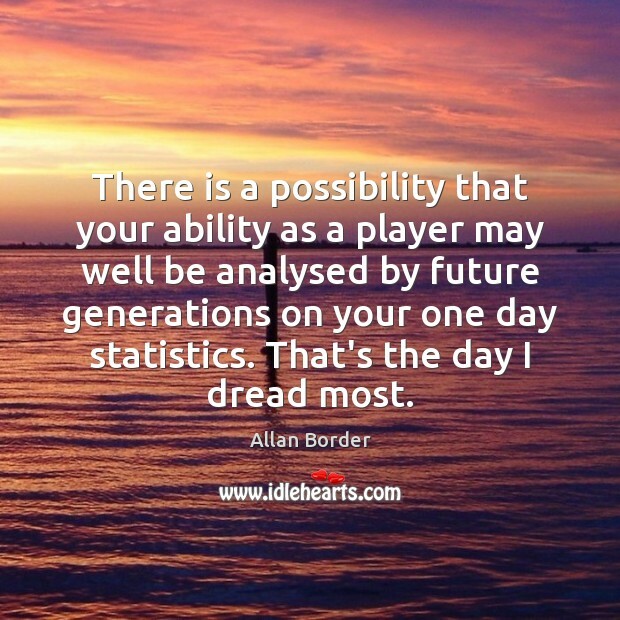 There is a possibility that your ability as a player may well be analysed by future generations on your one day statistics. That's the day I dread most. I was happy with the umpiring in India last year, New Zealand is OK these days, and the only real area of concern is Pakistan. They seem to have a chip on their shoulders about their cricket there.